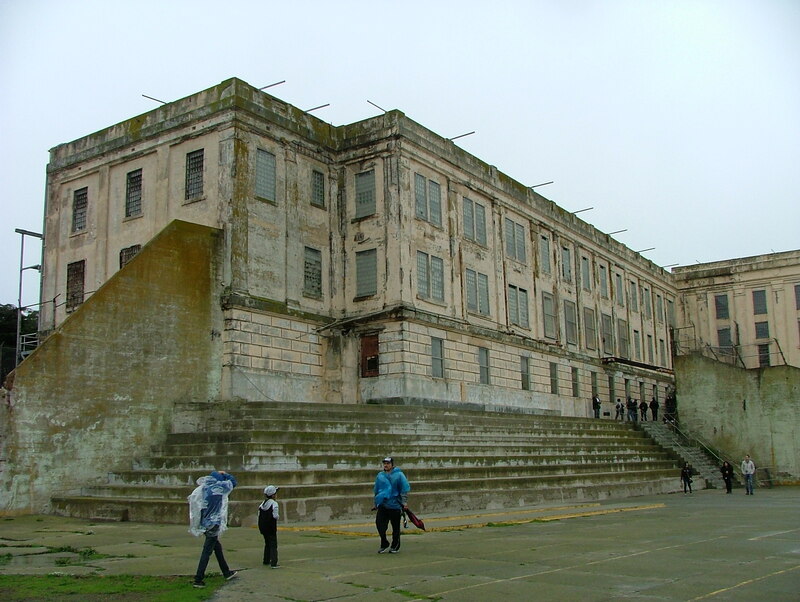 Saturday was scheduled for our somewhat-postponed trip to San Francisco, now that we’d realised that you really did need to buy tickets in advance for Alcatraz, even out of season. This has turned out to be a bit longer than I expected, so if you just want the executive summary, it goes like this: train, Alcatraz, beer, rain, food, Lombard Street, beer, beer, rain, wine, train, beer. 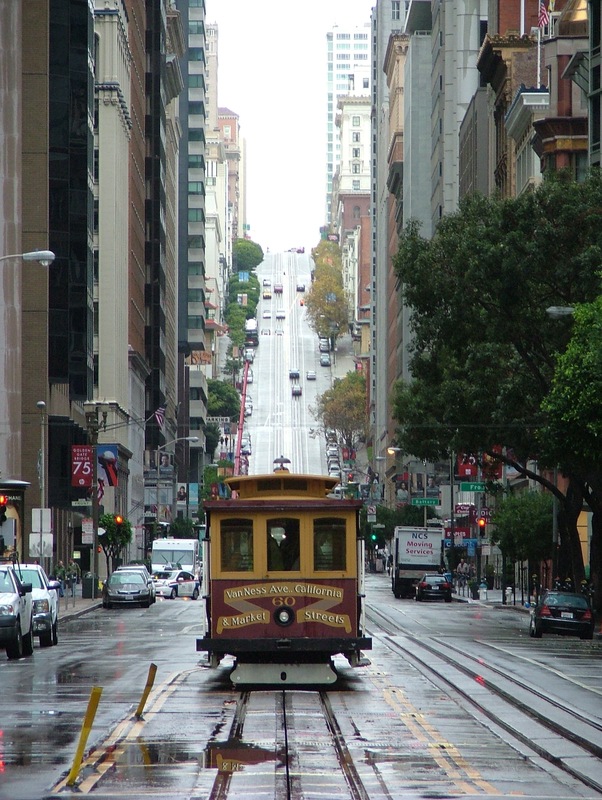 The first mini-adventure was the train ride on the BART from Fremont to Embarcadero in San Francisco. Parking at Fremont station is a very reasonable US$1 per day; you just make a note of the number of the spare you’re parked in, then pay at a machine once you’re through the ticket barriers. The tickets are slightly complicated, at least for a single journey for someone who’s not used to the system. You don’t buy a ‘return ticket from Fremont to Embarcadero’; you load up a ticket (provided by the machine, if you haven’t already got one), with enough credit to pay for each journey that you want to make, and use the ticket to get through the entrance and exit barriers at each station. If you haven’t got enough credit, you won’t be allowed out, and have to load some more credit on to the ticket before being able to leave the station. We’d slightly misjudged the frequency of the trains, so on arriving at Embarcadero we needed a quick walk up to the appropriate pier for the boat to Alcatraz. There was just enough time for a quick photo opportunity of a cable car; it took a minute for our brains to adjust to the way the road seems to go so sharply upwards in the distance, almost like a scene from the movie ‘Inception’. After a very brisk walk, we seemed to time our arrival for the cruise just about perfectly; boarding was just about to start as we waited to collect our pre-booked tickets, and we were able to walk on without having to stand around (politely declining the tacky photo opportunity in front of a picture of the island). 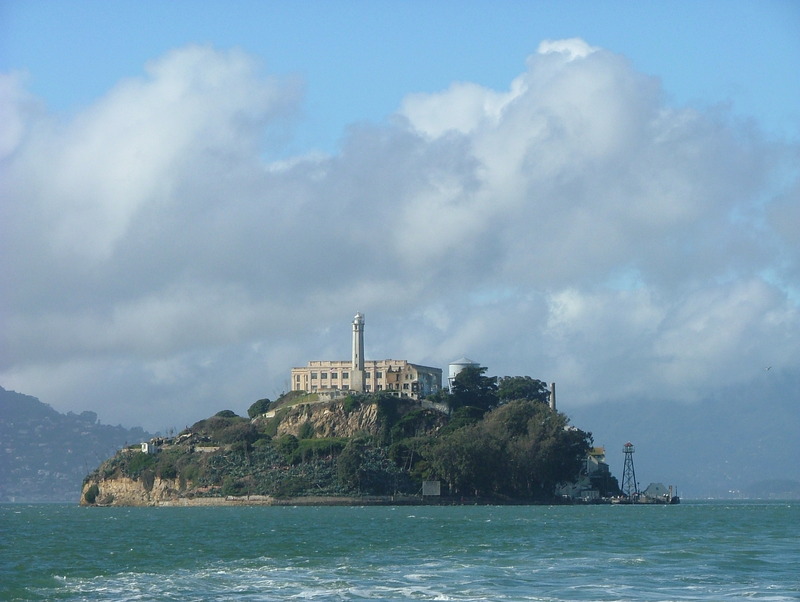 Alcatraz is much closer to San Francisco than I’d thought; I obviously hadn’t been paying attention to that bit of any of the films that I’d seen it in. It does look quite foreboding, even in the sunlight, especially with part of the cliff on the nearest edge having crumbled and almost taken the Warden’s House with it. 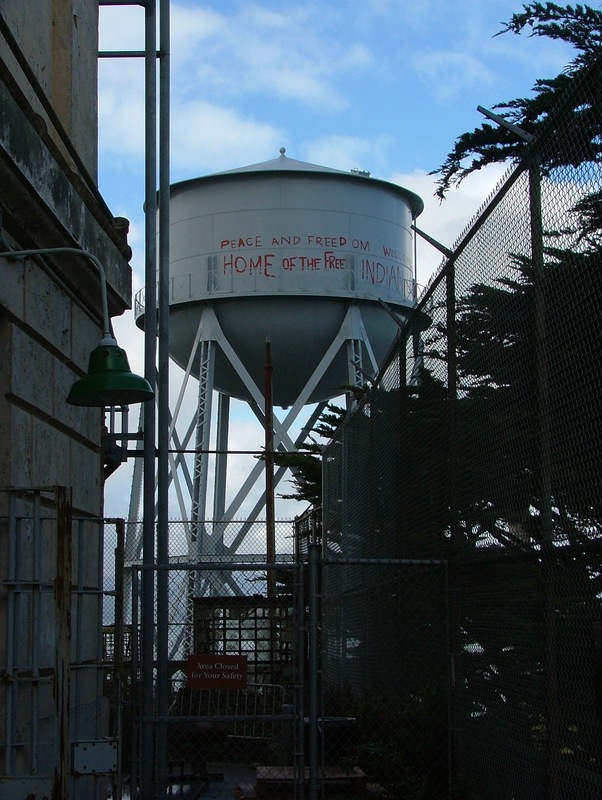 On arriving at the dock, one of the first things you notice is the Indian-related slogans on various signs, which are also to be seen on other parts of the site; these are left over from the Occupation of Alcatraz by American Indians, several years after the prison had closed. 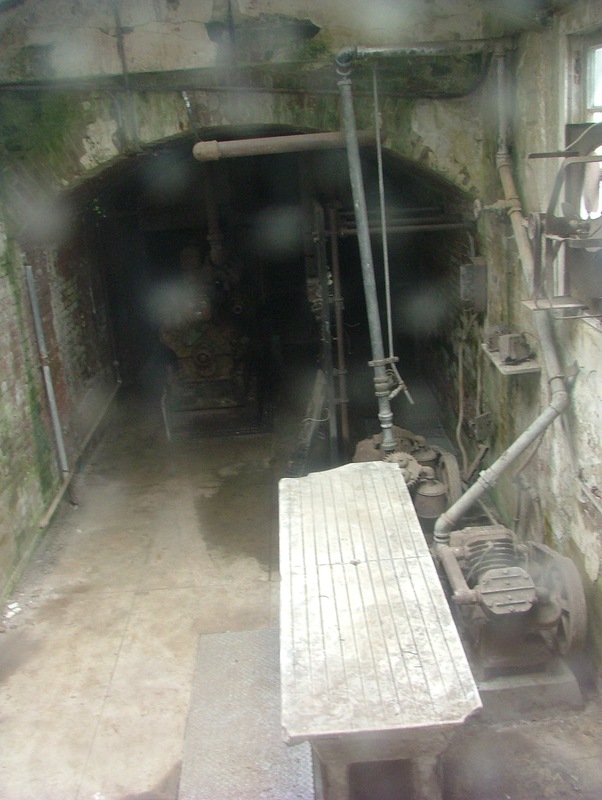 Walking up the 13-floor climb up the path to the prison itself, you soon come to the prison morgue. 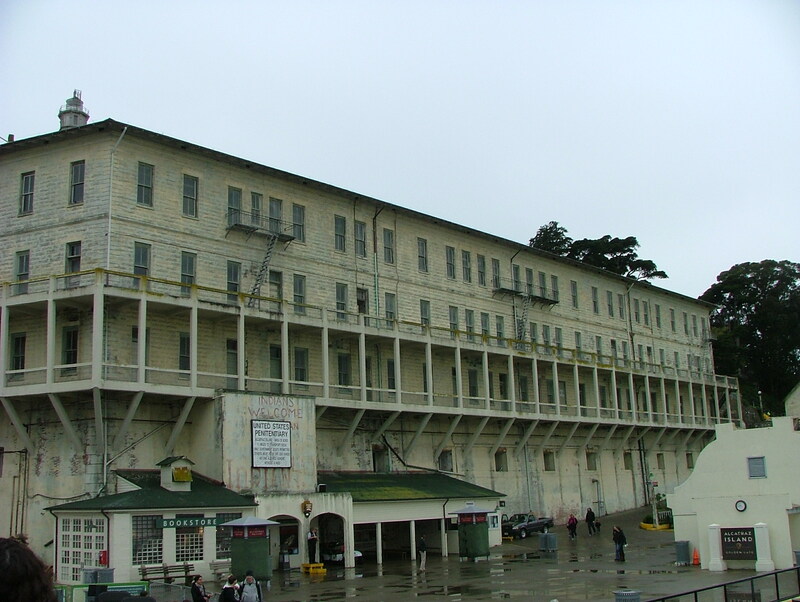 Although no prisoners were executed on Alcatraz, and no autopsies were performed in the morgue, it still leaves you with a slight chill. I had a recommendation that the audio tour was worth doing; I think it was one of the best I’d ever heard. 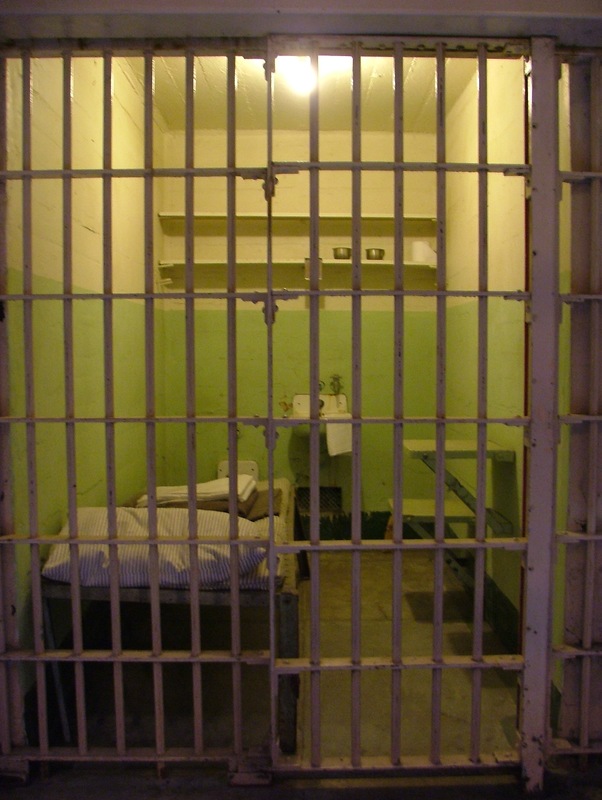 Narrated by an ex-correctional officer, with quotes from other officers and inmates, it gave a really good description of how the prison operated. 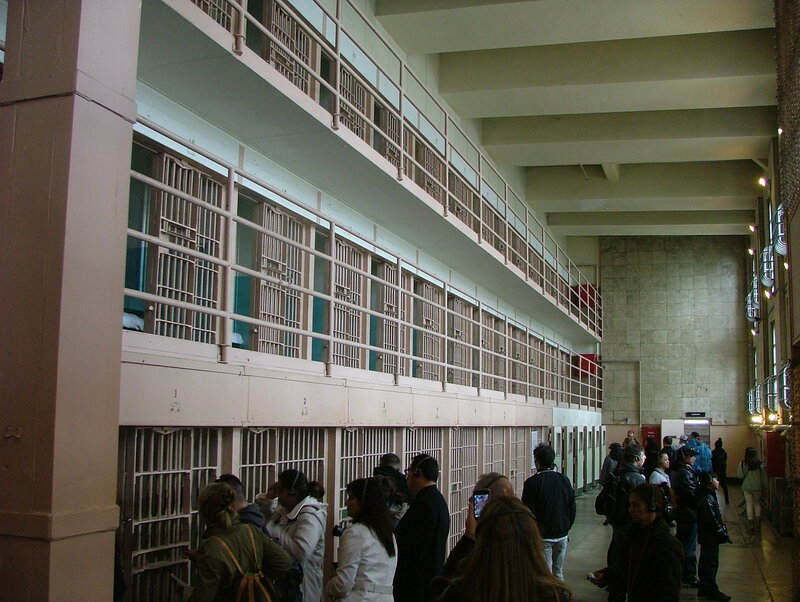 The first cells you see are where new inmates were received, and these are the same size as most of the cells in the prison: just 5′ x 9′. 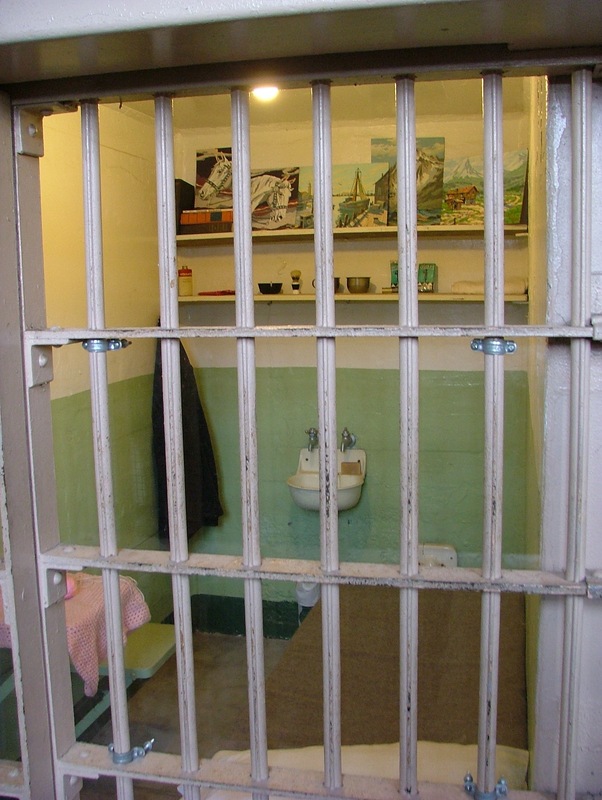 The cells in the segregation area (D Block) were slightly bigger, apart from the those in ‘The Hole’, which also had solid outer doors to shut out almost all of the light. The area that I recognised most easily from films and TV was the Recreation Yard. 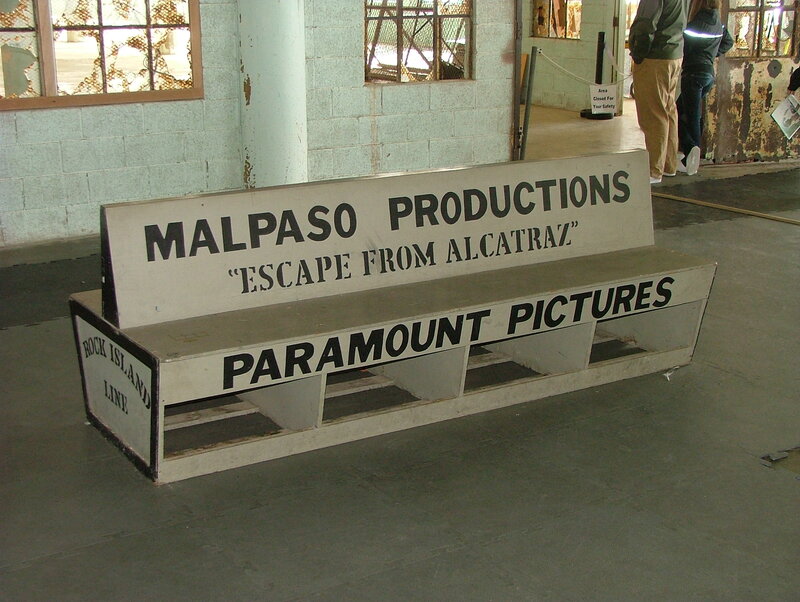 I think it must be compulsory for every film to have a scene were the newly-arrived inmate sits on the concrete bleachers and ponders his fate. 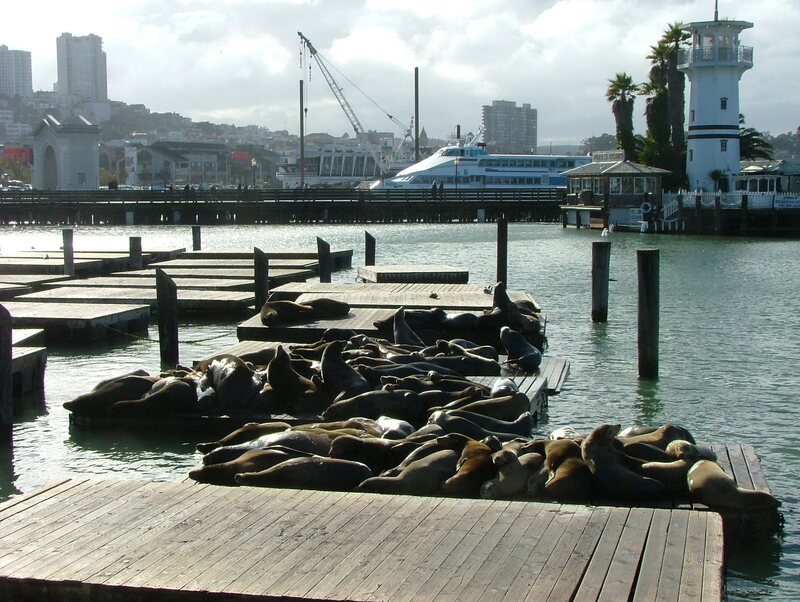 After leaving The Rock, we popped in to Pier 39 for a quick look around the tourist tat shops (quite well done, as much as tourist tat shops can be), and to see the sea lions on their specially reserved area of the dock. We also managed to find bar, masquerading as a tat shop, that sold beer (of course), and vaguely beer-related stuff, including the very tempting redneck wind chime: four tin cans hanging from a spanner. 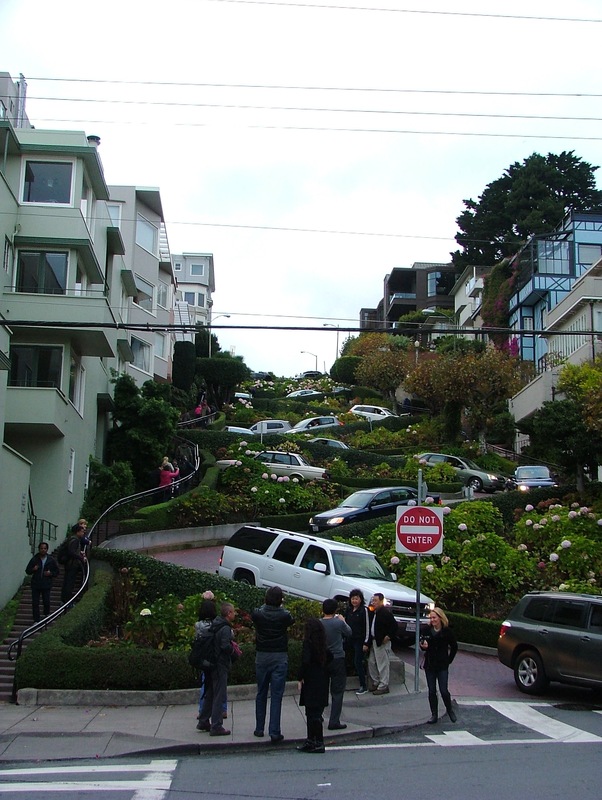 Despite having seen pictures and video of Lombard Street, nothing quite prepares you for seeing it for real. It’s very steep and, of course, very crooked. We’ll have to try to find time to go back another day in the car so we can drive down it, rather than just walking up it. 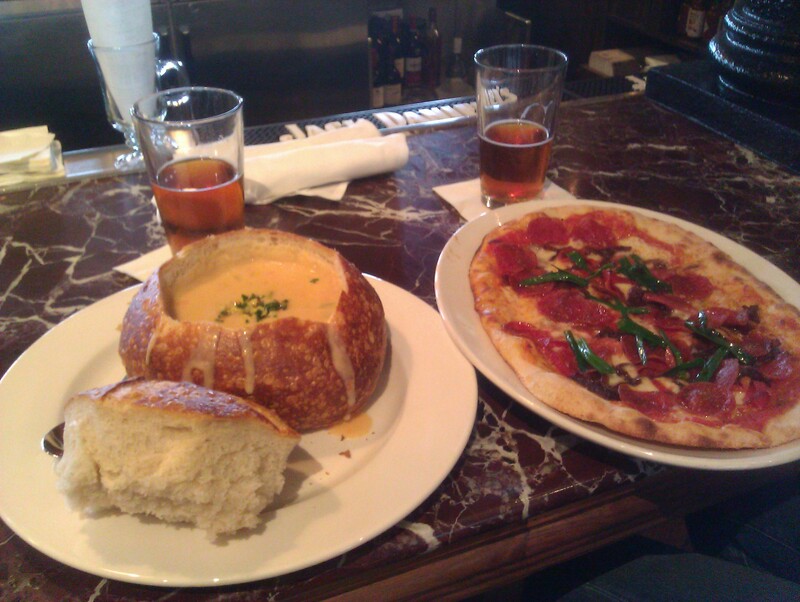 After that, we headed over to the Mission district, stopping in a bar or two on the way. When we got there, the traffic seemed unusually busy, which we found out was being caused by a protest march against the current Israel-Palestine conflict. As we were minding our own business, walking along the sidewalk, we heard some sirens behind us: about a dozen lightweight police motorcycles with all their disco lights on came cutting through the pedestrians. We found yet another bar which had been recommended to us, the Thirsty Bear, which has its own on-site brewery. Unfortunately, ‘somebody’ had to be sober enough to drive the car when we got back, so I couldn’t sample everything that they had to offer. Our first attempt at finding somewhere for dinner failed, when a recommended restaurant turned out to be booked for a private party. How inconsiderate. We hoped we might be able to find something decent while wandering through the Chinatown area, but it all seemed a bit cheep and nasty. Their traditional Chinese gate isn’t even as good as the one on Stowell Street in Newcastle! Getting slightly desperate now, as we were hungry and the rain had started again, we came out of Chinatown and headed roughly in the direction of the train station, searching on the Internet for appropriate restaurants on the way. We saw a few that looked nice, but that we probably weren’t appropriately-attired for, and were definitely out of the price range of our expenses. As the rain got heavier, we decided to test our luck and at least get a drink in the nearest place that would let us in… which turned out to be a very nice bar, with wine served from their own wooden barrels behind the bar, and plates of meat and cheese suitable for savouring with the wine. How very civilised, especially after two weeks of eating from the strip mall restaurants around Newark. After that, we decided to get the train back to Fremont and drop the car at the hotel, so we could both go for a drink at the local “pub”. There were some bands on (shouty heavy metal, which is fine in its own right, but not really helpful for conversation), but somehow the idea of ‘a drink’ turned out to be ‘several pitchers of beer’, plus we managed to wangle some free promotional Jaegermeister T-shirts without having to buy or drink any. Most surprisingly, a local actually talked to us, and it wasn’t even somebody who was trying to serve us drinks or food!